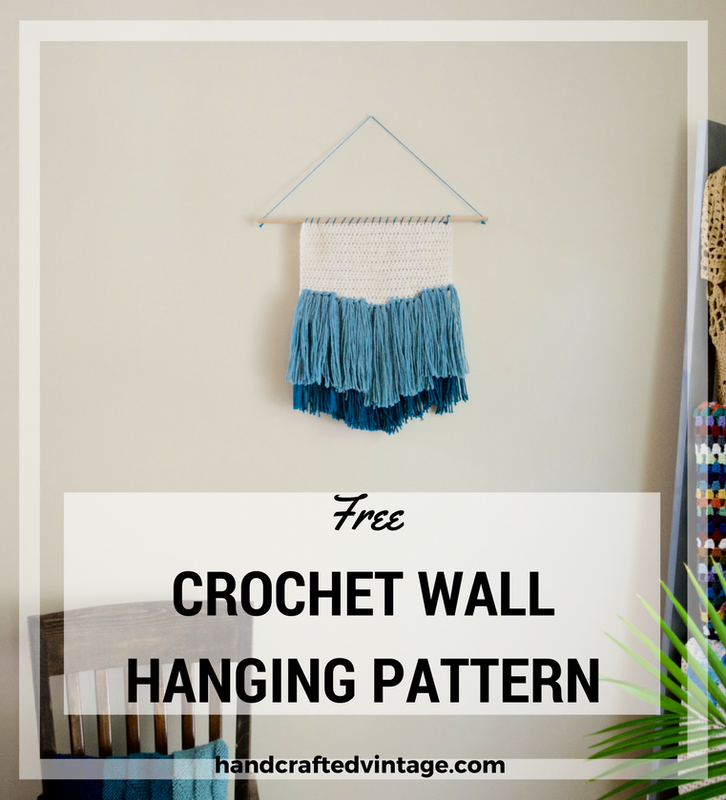 This incredibly simple crochet wall hanging mimics the look of the woven version without all the hassle. 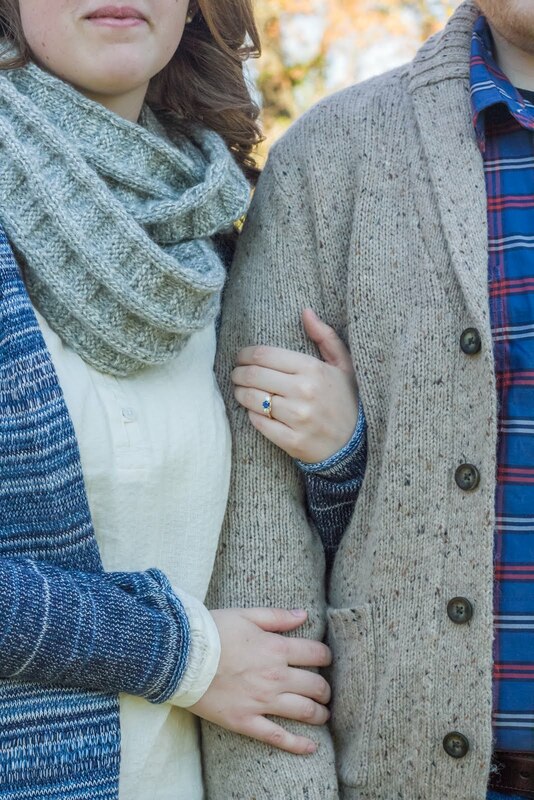 It is probably one of the simplest things I've ever made. 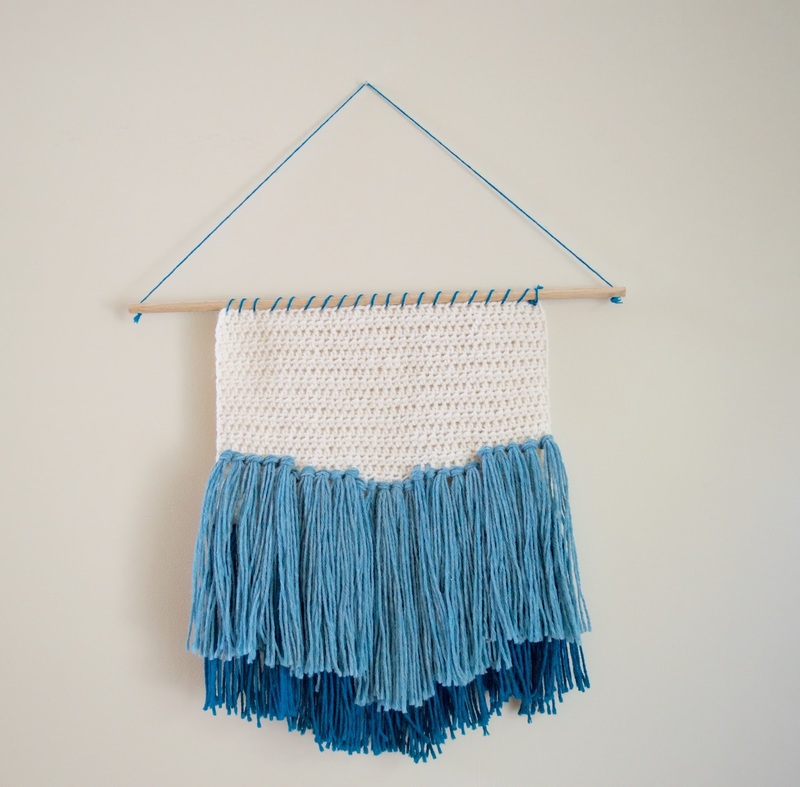 All you have to do is crochet a simple rectangle to use as your base, then attach a variety of colorful tassels wherever you'd like. - Crochet base of hanging: Ch 41. HDC in 2nd ch from hook and each ch across. *Ch1, turn, hdc in each st across. * Repeat from * to * until piece measures 8 in. - Cut yarn for tassels. I made mine 20 inches long with five strands per tassel. 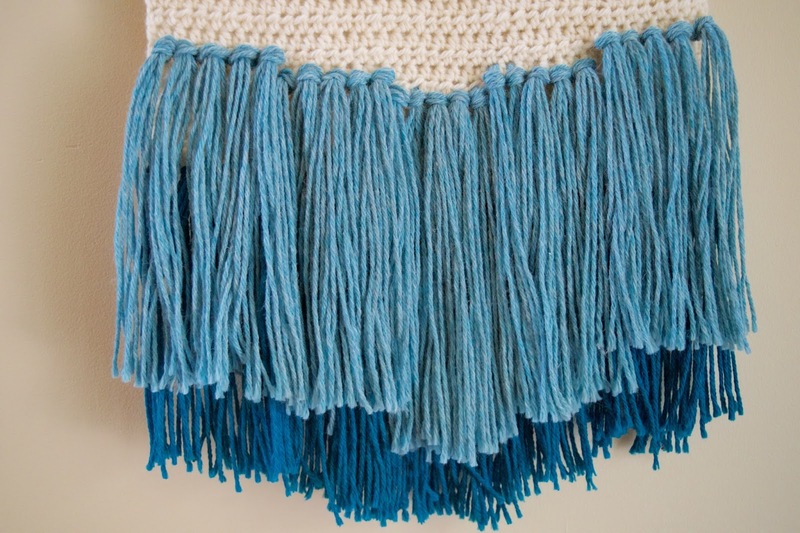 You can create your tassels with any length or thickness you'd like, though. - Attach wall hanging to dowel: Tie knot at the end of a long piece of yarn. Using yarn needle, sew dowel to piece by working through the top of the crochet piece and around the dowel. Do this all along the top of the piece and tie a knot to secure the end. - Cut another long piece of yarn and feed through the hole at each end of the wooden dowel. Tie knots in the end to secure the yarn in place. - Hang up your finished piece! One of these days when I'm not quite so busy (ahem, summer break) I am going to learn how to actually weave. But until then, I'm loving my slightly cheated crochet version.